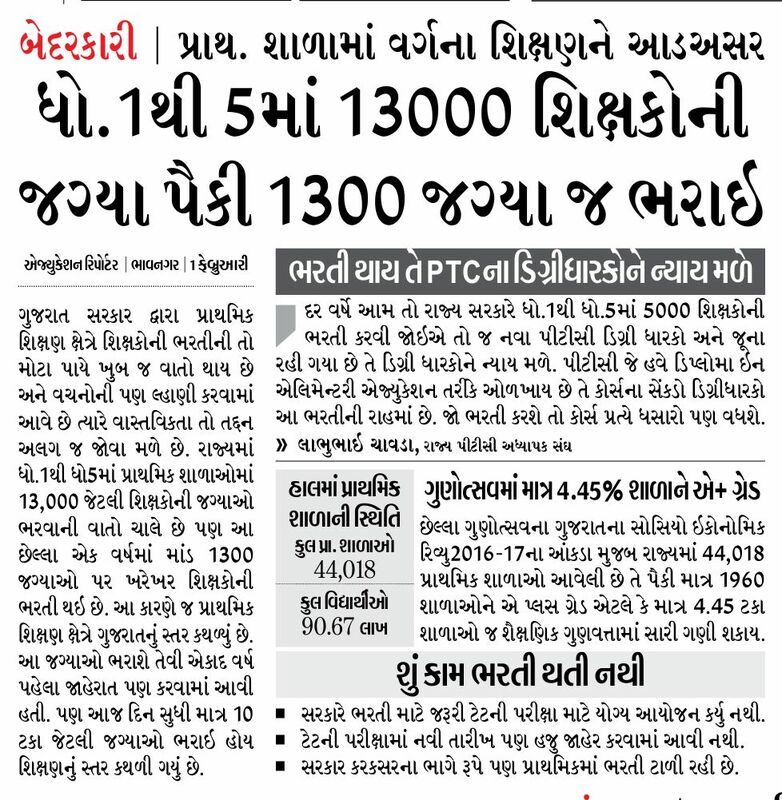 Shikshko Ni 13000 Khali Jagya Same Matr 1300 Ni Bharati. The GSEB is the board under the government of Gujarat that conducts the 12thSTD exams and also the entrances for the technical institutes in the state. The board is also responsible for conducting the primary and the secondary teacher’s recruitment by the Teachers Eligibility test exam. The Tet 1 exam application date, exam date, eligibility, syllabus and the procedures to apply for the exam are given under the subheadings that follow. Previous articleRajy Sarakar Na Varg 3 /4 Na Tamam Jagyao Upar Sidhi Bharti Thi Nimnuko Na Fix Pagar Na Karmachario Ne Malavapatr Charge Allowance Babat. Next articleUchch Sixan Mate 5 Lakh Ni Loan Related News Report.